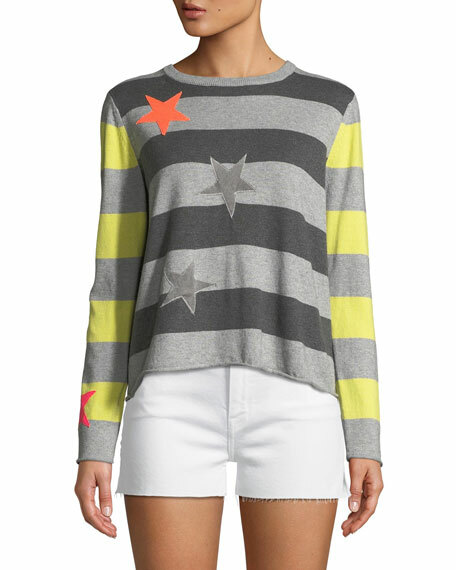 Lisa Todd women lucky star cotton cashmere sweater. Approx. length: 25.5"L from shoulder to hem; 25.5"L down center back. Contrasting Stripe detail, with Stars. For in-store inquiries, use sku #2620890.